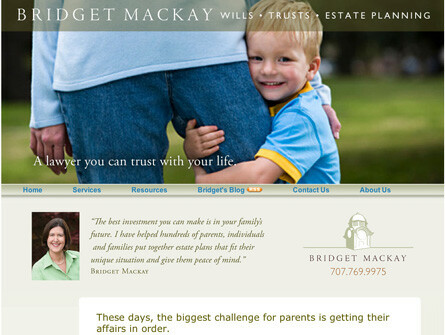 Law Offices of Bridget MacKay wanted a compsionate compassr look and feel to their website. Target market was seniors (eyesight issues) and specifically women/wife as they often are the ones left with estate issues and loss of spouse. A compassionate Wills, Trusts, Estate Laywer wanted to communicate with her marketplace when people first visited the site. The website tied into all print collateral and company branding. The site featured video blogs, resources, online forms.